Welcome to the family dental practice of Dr. Liza A. King and Dr. Patrick Carroll. Here, all our team members work one-on-one with our patients and our doctors see only one patient at a time. You receive their full attention, always. We want you to know that you are in excellent hands, that we appreciate the trust you place in us, and we will do what is required to ensure you are comfortable with all treatment provided. Our office space is open and welcoming, with beautiful views of the Cocheco River and Joe B. Parks Riverwalk Public Gardens. The moment you walk into our practice, you will be warmly greeted by name and invited to settle into our relaxing waiting area. You won’t be waiting long though, as we generally run on time and make every effort not to over-schedule. Your time is valuable and we respect that. This is why we offer early morning appointments during the week and are available after hours, on weekends, and on holidays for dental emergencies. Our treatment area is staffed by talented dental professionals, who are not only at the top of their field in the care they provide, but who genuinely enjoy getting to know our patients. The friendships that develop, between us and those we care for, means we look forward to each work day, because we know we will get to see people we like and that we’ll provide them with dental care that will improve their health. The members of our front office staff are skilled at working with patients to understand dental insurance coverage and options, and will work with you to develop financial arrangements as needed. We believe that timely dental care is essential to preventing issues down the road, and will do everything we can to make sure you get the care that you need, when you need it. Because we are a family-oriented dental office, we see and treat everyone from children through adolescents, adults, and seniors. We work with those who have avoided dental care out of fear, offering treatments that will restore your teeth and gums, while ensuring that the process is not something to dread. To that end, we will listen to you and talk with you about your concerns, reassuring you, and providing the support and encouragement that you need. Our practice is located in Dover, NH, and we welcome patients from the areas of Dover, Rochester, Portsmouth, and Exeter, as well as the southern Maine communities of York, Kittery, and the Berwicks. For more information about the services we offer and how we can help you attain and maintain exceptional oral health, please call to schedule an appointment. 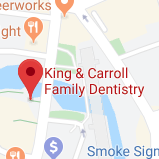 Everyone here looks forward to meeting you, learning about your dental needs and goals, and then working with you to ensure good dental health for life.